An exhibition of photographs entitled “Bulgaria through the Glass Prism of Time’’ opens at Kvadrat 500 gallery, Hall 19 on February 8 at 6pm. The exhibition displays 36 documentary images of Bulgaria from the 1920s and 1930s. The selection of historical, ethnographic and geographic details is presented in the context of European values. The exhibition is the result of a meaningful diplomatic and human encounter which took place 20 years ago. In 1999, Nadezhda Bliznakov a member of an Italian aristocratic family of Bulgarian origin, donated to Antonina Stoyanova, who was at the time the wife of the Bulgarian president, a family relic: photographic glass plates that belonged to her grandfather Marko Bliznakov, one of the founders of Bulgaria’s port business. In his youth, he had been sent to Italy by Bulgarian King Ferdinand, fell in love and married Petronella Veneziani, a girl of noble ancestry. In time, Bliznakov’s family gave Italy a large number of diplomats. Novelist James Joyce taught English to his daughters. Bliznakov became the honorary consul of Bulgaria in Italy, and used the photographic glass plates to promote the beauties of his homeland. The precious collection is now back on display in its country of origin and a video interview with the donor Nadezhda Bliznakov, is also part of the exhibition. 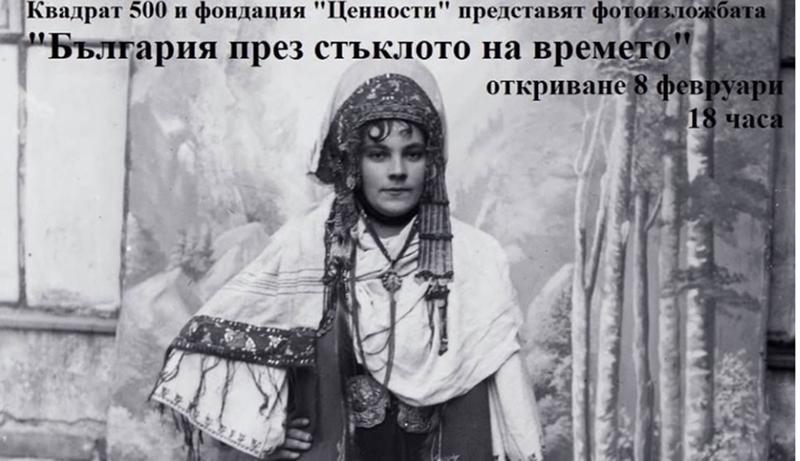 The exhibition has been organised by Antonina Stoyanova and the Values Foundation, with the exclusive support of businesswoman Neli Beshirova. It presents a rare opportunity to rediscover Bulgaria’s cultural heritage, customs and crafts, lifestyle and national spirit and to connect events and people through the prism of the time.